And here they are--everyone's elfs! Yesterday's winning name was "Dean," by Shannon Hale. Santa is a big fan. That's it! Have a Merry Elf Christmas everybody! I'll be back in January! Maybe I'll post something over the break--but I've never needed a break so badly, so I might not. In any case, big things are coming in January. Starting off with the second half of Taco Hell Drive Thru. Thanks for a great year of comments! Oh! 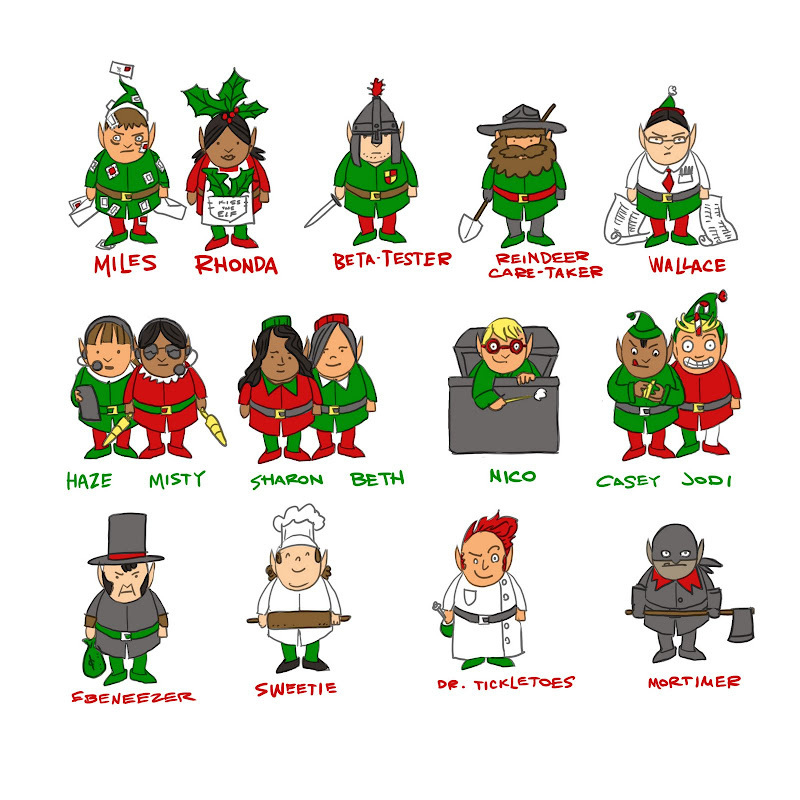 Thank you for drawing everybody's elfs! They look amazing. I'm sure Santa couldn't pull of Chistmas without the. Enjoy your break and Merry Christmas! Thanks for drawing all the elves. I like the crazed look in Miles' eyes. Merry christmas and a happy new year! OH YEAH!!!! Thanks so much! Haha. Wallace. And Dr. Tickletoes! They're ALL so cute!